keeping with many grand mansions on ‘The Edge’. During the last century it has been used for many different causes; a home to a family of cotton merchants and a local doctor and being used to house American servicemen during the Second World War after which it finally become a Cheshire hotel. Today the J W Lees family now owns it. The hotel has a choice of 50 exceptionally comfortable and welcoming rooms and suites, many rooms have panoramic views over the village and surrounding Cheshire countryside. Each room has their own exclusive en suite facilities, as well as television, Internet connection, tea and coffee-making facilities, plus a standard of individual decor that more than measures up to the hotel’s status as one of the most elegant boutique hotels in the county. 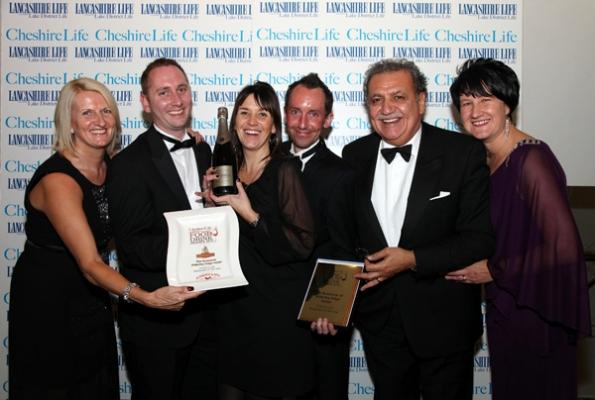 Cheshire Restaurant” and the“North West Chef of the Year” at the Life Food Awards earlier this year. Alderly Edge offers three different conference rooms. The Laurent-Perrier Conference Room can hold up to 90 attendees. The syndicate Cheshire conference venue rooms, the Fallibroome Conference Venue Room and Brynlow Conference Venue Room, are suitable for 10 to 18 meeting or conference delegates. Each room is bright and airy with views over a meticulously tended garden site or overlooking the theatre of the Cheshire countryside. The newly refurbished wedding function room at Alderly Edge Hotel can accomodate up to 130 people and serves award winning food. The experienced weddin gco-ordinators will be able to tailor your day to suit your needs. Leave M6 at Junction 18, take the A54 to Holmes Chapel, then the A535 to Alderley Edge. Join the M56 at Junction 20, Leave the M56 at Junction 6 and take the A538 to join the A34 at Wilmslow. Follow the A34 south to Alderley Edge, and turn left on to the B5087 (Macclesfield Road). Jonathan Schofield relaxes with a view, the paper, the Beaune Supremacy and the best puddings in the region. Oh to be in Cheshire now that spring is sprung: Nodding daffodils, wine bars, stirring walks through beech woods, fine Victorian houses and linen and keys. ( And for that matter, oh to be in Cheshire now that spring is sprung, and one of the perks of the jobs dictates that you get to stay over to road test one of the reader deals). But linen and keys, what am I on about? Well the Alderley Edge Hotel ties with the Lowry Hotel for the best presented tables in the region. It wins on the charm front at the point of bedroom entry, by proudly sporting old-fashioned jangly keys. The bedrooms behind are cute and folksy and include a mightily well-stocked bar, a great little bathroom and all the usual internet links and so forth. Those in north facing rooms get an uninterrupted view across the whole of Greater Manchester to the West Pennines 15 miles away. Beetham Tower and the city centre’s mini Las Angeles profile is very clear. At night when the street-lights come on it’s perhaps even more impressive. Humbling to think that contained in that view is the whole of Greater Manchester’s 2.5m population. 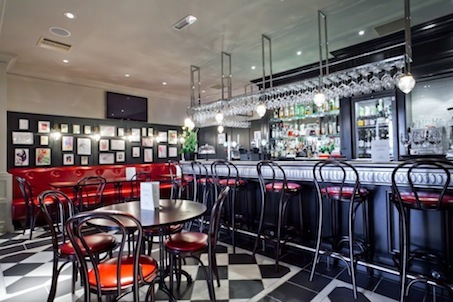 Mike Cowley finds foodie heaven at the Alderley Edge Restaurant. In the vast desert of culinary mediocrity in which discerning food lovers too often find themselves today, there is still at least one oasis of excellence and good taste (in both sense of the phrase) to be found in Cheshire. 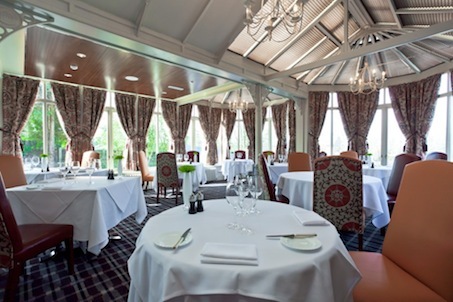 The Alderley Edge Restaurant at Alderley Edge Hotel stand apart as a bastion of fine dining. Here is one establishment that has not succumbed to a menu where average food blends with above average prices, it’s not the sort of place where having paid up a wallet squeezing bill you wish you’d stayed at home. 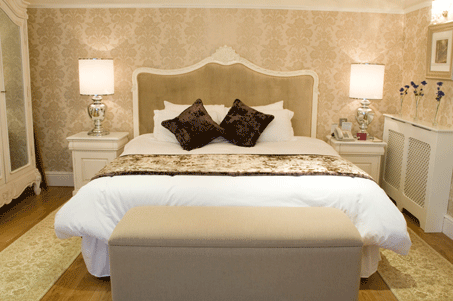 Send an e-mail to Alderly Edge Hotel - Luxury Boutique Hotel in Cheshire by filling in the form below. All fields are required.